TEM has developed into an international network of likeminded individuals and organisations – our most recent meeting, held in Munich (2017), was attended by 170 delegates from five continents. As a biennial event, the next edition of TEM will be held on May 3 & 4, 2019 in Berlin. Subscribe to our newsletter, follow us on Facebook and Twitter, and visit the producer’s website to stay up-to-date. 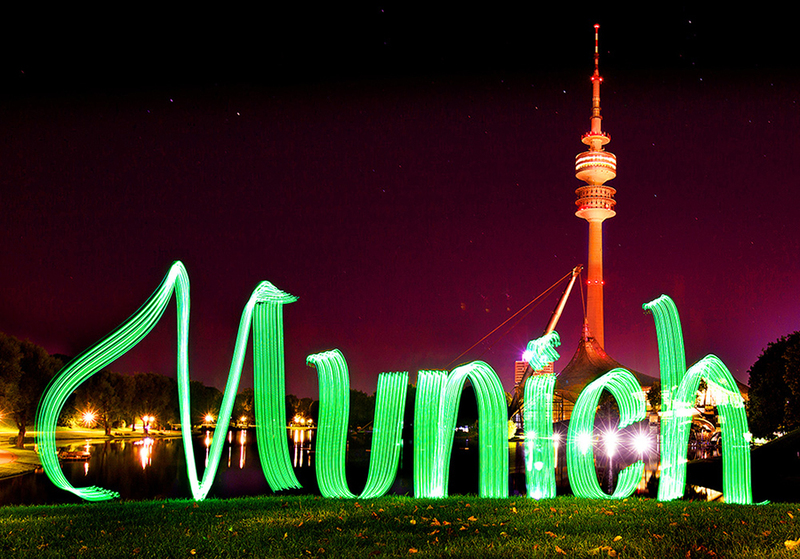 Light Graffiti, created by Brain Mash Crew during a session in summer 2016 at Munich’s Olympic Park.